All-time leader in Nats all-star appearances: Harper with 5 appearances. Technically Scherzer also has been named 5 times but some pre-dated his time here. All-time leader in All-Star Game starts: Also Harper, getting his 4th start. Most all-star players named in a single year: 5 in both 2016 and now 2017. (* == All-Star game starter. The Nats now have four ASG starters in their history, dating to 2005. Soriano once, Harper thrice). Narrative: The four obvious candidates from the Nats this year were all initially correctly selected, though voting shenanigans out of Chicago elected Ben Zobrist over Daniel Murphy by a scant 500 votes. I thought perhaps Strasburg would have a chance to start the game, given his 12-0 record, but it seems the team pre-empted any such thought when Scherzer’s naming occurred). For the first time writing this post, I can’t really name any “snubs” and the team has (finally?) earned the proper respect it deserves in terms of naming its players properly. Espinosa had a week for the ages just prior to the end of voting but really stood little chance of selection in the grand scheme of things. He’s not really a “snub” but is worthy of mention based on his resurgent year. At the break, Espinosa ranked 3rd in NL fWAR but 7th or 8th in bWAR thanks to differing defensive value metrics, so maybe/maybe not on him being a “snub.” As pointed out in the comments, even I missed the sneaky good season Roark is having; he’s 12th in the NL in bWAR at the break and 9th in fWAR but was left off in favor of any number of starters that stand below him in value rankings. Unfortunately for fans (and for Harper’s “Make Baseball Fun again” campaign, he opted to skip the Home Run Derby again. I guess its kind of like the NBA superstars skipping the dunk contest; the Union should really do a better job of helping out in this regard. The new format is fantastic and makes the event watchable again; is it ego keeping him from getting beat by someone like Giancarlo Stanton? Here’s past year’s information, mostly recycled information from past posts on the topic but fun to read nonetheless, especially the early years. (* == All-Star game starter. The Nats now have three ASG starters in their history, dating to 2005). Here’s my annual Nationals All Star selection post. As with last year’s post (which also links to subsequent years), I’m including a retrospective on our “illustrious” All Star representative history from years past. If you read on and it sounds familiar, that’s because a lot of it is cut-n-pasted from previous versions of this post. Even so, reading backwards to see who our All-star representatives were in the lean years is an interesting exercise. There were many years that the “one representative per team” rule was bent pretty far in order to include a member of our lousy teams. 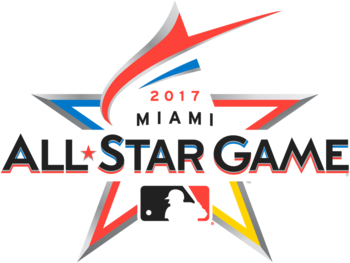 Discussion item for the comments: Do you feel that the Major League all-star game should be a collection of the games biggest and best stars year after year, or should it represent who’s having the best current season? I’ll put in my two cents: right now (thanks partly to the one player from each team rule) the rosters are somewhat of a mix of these two philosophies but are leaning more and more towards “who is having the best season.” This year for example, future hall of famers like Albert Pujols are not on the team while 2-month flash in the pans like Charlie Blackmon are. But I feel like a showcase event like the All-Star game needs to highlight the games biggest stars. And I don’t feel like it does. Keith Law is right: when (to use our local examples) marquee/famous players like Bryce Harper and Stephen Strasburg are not selected in lieu of middle relievers who have a great ERA through 20 innings in the first couple months of the season, it does a disservice to the game. Harper can’t open his mouth without it making national news and he’d be a draw at the game. Same for Strasburg just on fame factor. In this respect I always thought the NBA all-star game did the best job of making its event an actual “All Stars” event. If you want to have an event that rewards players for the best SEASON … then do what the NFL does and have the all-star game after the season. Right now we give all- star spots to guys who have a couple of hot months and who might be hitting .220 again by the end of the season. The most egregious example of this lately probably was 2012’s Cubs representative Bryan LaHair, who made the all-star game thanks to a scorching first half in 2012. You know where LaHair is now? Chicago *released* him at the end of 2012; what all-star gets released in the season in which they make the team? He played in Japan in 2013 (perhaps why he was released but still indicative of what the team thought of his true talents), hit .230 there, and is currently sitting on Cleveland’s AA roster (having hit .113 for their AAA team and getting demoted). I dunno; is this the kind of “all star” you want to see in your league’s marquee event? I don’t think so; even if Joey Votto is having a down year, I want to see him suit up and not some flash in the pan. One other quick point. If the season ended today, here’s your playoff teams and the number of players they have in the ASG: NL: Atlanta (3), Milwaukee (4), Los Angeles (4), Washington (1) and San Francisco (2). And AL: Baltimore (3), Detroit (3), Oakland (6), Los Angeles (1) and Seattle (2). Wow; looks to me like both the Nats and the Angels have some serious griping about player selection. The Angels have the 2nd best record in the league and got just one representative (Mike Trout of course). Anyway, on to the Nats historical representatives. Here’s a link to the All Star Rosters for 2014, prior to the “last man in” voting and any pending injury replacements. Narrative: Zimmermann’s been the best starter on the best pitching staff in the majors this year, and thus earns his spot. I find it somewhat odd that a first place team (or near to it) gets just one representative on the team (as discussed above). Rendon tried to make the team via the “last man in” voting, but historically Nationals have not fared well in this competition (especially when better known players from large markets are in the competition, aka Anthony Rizzo from the Chicago Cubs), and indeed Rendon finished 4th in the last-man voting. LaRoche is having a very good season, almost single handedly carrying the Nats offense while major parts were out injured, but he’s never going to beat out the slew of great NL first basemen (Joey Votto couldn’t even get into this game). Soriano has quietly put together one of the best seasons of any closer in the game; at the time of this writing he has a 1.03 ERA and a .829 whip; those are Dennis Eckersley numbers. But, the farce that is the all-star game selection criteria (having to select one player from each team) means that teams need a representative, and deserving guys like Soriano get squeezed. Then, Soriano indignantly said he wouldn’t even go if named as a replacement … likely leading to Clippard’s replacement selection. The same goes for non-closer Storen, who sports a sub 2.00 ERA on the year. Advanced stats columnists (Keith Law) also think that Stephen Strasburg is a snub but i’m not entirely sure: he may lead the NL in K’s right now and have far better advanced numbers than “traditional,” but its hard to make an argument that a guy with a 7-6 record and a 3.50+ ERA is all-star worthy. Narrative: Harper comes in 3rd in the NL outfielder voting, ahead of some big-time names, to become only the second Nationals position player elected as an All-Star starter. He was 4th in the final pre-selection vote, so a big last minute push got him the starter spot. Harper also becomes the first National to participate in the Home Run Derby. 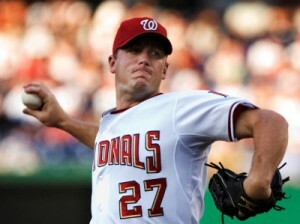 Zimmermann was 12-3 heading into the game and was on mid-season Cy Young short lists in July in a breakout season. Strasburg’s advanced stats are all better than Zimmermann’s, but his W/L record (4-6 as the ASG) means he’s not an all-star. It also probably doesn’t help that he missed a few weeks. Desmond loses out to Troy Tulowitzki, Everth Cabrera and Jean Segura. Tulowitzki wass having a very solid year and wass a deserving elected starter, while Cabrera and Segura are both having breakout seasons. Desmond was on the “Final vote” roster, but my vote (and most others’ I’m guessing) would be for Yasiel Puig there ([Editor Update: Desmond and Puig lost out to Freddie Freeman: I still wished that Puig finds a way onto the roster but ultimately he did not and I believe the ASG was diminished because of it). Gio Gonzalez, Ryan Zimmerman,and Rafael Soriano are all having solid but unspectacular years and miss out behind those having great seasons. Narrative: The two starters Strasburg and Gonzalez were the obvious candidates, and my personal prediction was that they’d be the only two candidates selected. Gonzalez’ first half was a prelude to his 21-win, 3rd place Cy Young season. The inclusion of Desmond is a surprise, but also a testament to how far he’s come as a player in 2012. Harper was a last-minute injury replacement, but had earned his spot by virtue of his fast start as one of the youngest players in the league. Of the “snubs,” LaRoche has had a fantastic come back season in 2012 but fared little shot against better, more well-known NL first basemen. Stammen was our best bullpen arm, but like LaRoche fared little chance of getting selected during a year when the Nats had two deserving starters. Narrative: While Clippard was (arguably) the Nats best and most important reliever, I think Zimmermann was a more rightful choice. He was 10th in the league in ERA at the time of the selections and has put in a series of dominant performances. Meanwhile Espinosa is on pace for a 28homer season and almost a certain Rookie-of-the-Year award (though a precipitous fall-off in the 2nd half cost him any realistic shot at the ROY), and perhaps both players are just too young to be known around the league. Lastly Morse is certainly known and he merited a spot in the “last man in” vote sponsored by MLB (though he fared little chance against popular players in this last-man-in voting). Narrative: Young gets a deserved all-star appearance en route to comeback player of the year. Zimmerman played a full season but didn’t dominate. Our rotation featured 6 primary starters, none of whom are still in the league now, though Hill showed flashes of dominance throughout the year. Harper and Trout’s rookie appearance in the 2012 game was so special: I hope Yasiel Puig makes it this year. Photo unk. Here’s my annual Nationals All Star representative post. As with 2012 and 2011‘s post, I’m including a retrospective on our “illustrious” All Star representative history from years past. If you read on and it sounds familiar, that’s because a lot of it is cut-n-pasted from the annual version of this post. Even so, reading backwards to see who our All-star representatives were in the lean years is an interesting exercise. Here’s a link to the All Star Rosters for 2013. Narrative: Harper comes in 3rd in the NL outfielder voting, ahead of some big-time names, to become only the second Nationals position player elected as an All-Star starter. He was 4th in the final pre-selection vote, so a big last minute push got him the starter spot. Harper also becomes the first National to participate in the Home Run Derby. Zimmermann is 12-3 heading into the game and is on mid-season Cy Young short lists right now and is a very deserving pick. Strasburg’s advanced stats are all better than Zimmermann’s, but his W/L record (4-6 as of this writing) means he’s not an all-star. It also probably doesn’t help that he missed a few weeks. Desmond loses out to Troy Tulowitzki, Everth Cabrera and Jean Segura. Tulowitzki is having a very solid year and is a deserving elected starter (though he’s currently on the DL and I wonder if Desmond may still make it as an injury replacement), while Cabrera and Segura are both having breakout seasons. Desmond is on the “Final vote” roster, but my vote (and most others’ I’m guessing) would be for Yasiel Puig there ([Editor Update: Desmond and Puig lost out to Freddie Freeman: I still hope Puig finds a way onto the roster). Gio Gonzalez, Ryan Zimmerman,and Rafael Soriano are all having solid but unspectacular years and miss out behind those having great seasons. Trivia: With his 2013 selection, Harper has been selected as an all-star in every season in which he has appeared in a game. As far as I can tell in baseball history, there’s only TWO other players in Major League History who can say this. Name them (discuss in comments). Another month, another .500 record for the Nats. At the halfway point they’re 41-40, on pace for a fantastic 82-80 record. Well, the Cardinals won the World Series a few years back making the post-season 83-79, so maybe all is not lost (sarcasm). Though, the last couple days have seen unprecedented offensive output (they’ve scored 10+ runs twice in a row after only having done it once prior). Bryce Harper is back after missing nearly 5 weeks of games (and hitting badly through another 4 weeks in May of them before that), and promptly hits a homer in his first AB off the D/L. With Harper’s inclusion, we’ll finally see the “ideal offensive lineup” that I touched on last week. On paper, a 2-7 of Werth-Harper-Zimmerman-LaRoche-Desmond-Rendon looks really, really good. In this light, lets see what kind of baseball questions Tom Boswell took in his pre-holiday chat on 7/1/13. As always, I’ll write my answer here before reading his to avoid bias and edit questions for clarity (since a lot of the “questions” he takes are rambling complaints about this or that). 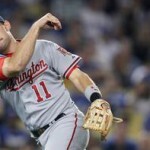 Q: Are the Nationals as a team missing the “spark” they need to rally for the playoffs? A: I’ve talked about the outflow of “chemistry” this team lost when Michael Morse was dealt before. I’ve also speculated in this space before about whether or not this team has too many “uber serious” players. In many ways winning consistently creates “chemistry” but I also think the reverse is true if you don’t have the right guys with leadership voices in the clubhouse. Is the return of one hitter (albeit their best) going to change the tune for this team? Boswell notes that the team faces a significant hole: 6.5 games in the division, 5.5 games just for the wild-card coin flip game. Q: Thoughts on Taylor Jordan? Does he get a 2nd Start? A: See here for my post over the weekend on Taylor Jordan, and Yes he gets a 2nd start. He only gave up one earned run. Lets see what Boswell said: Boswell has a good point: he liked Jordan, thought he had potential .. but then noted that this team needs to go 50-31 to make the playoffs and you’re not going to go 50-31 with a rookie as your 5th starter. Q: With Werth appearing to be injured, do you see Davey moving Harper to right and Werth to left field? A: Well, this is one of those “veteran manager” moves from Davey Johnson that gets me sometimes. I believe that Jayson Werth is inarguably a lesser fielder than Harper (who would be playing center for nearly every other team in the league by virtue of his range and arm). Harper’s arm is one of the best in the league. He’s younger, faster and covers more ground (excellent range per UZR/150 numbers in center last year). So why is Werth in right? Because he’s the vet. Harper won’t take over RF until Werth advances in age or gets a new manager who isn’t afraid to move him and his 9 figure salary to the position he should be in. I disagree with Boswell’s opinion on this one; he thinks Werth is the more polished OF and that Harper got hurt playing RF. As if he wouldn’t have run into a wall eventually playing elsewhere. Q: Do we need alterations to the Balk rule? A: At some level yes. I think there’s a huge difference between some slight bobble in your motion and a blatant attempt to deceive the runner by “flinching” or doing a purposeful stop-start head motion. Its the difference between inadvertant and purposeful deception. And the embarassing umpire “Balking” Bob Davidson needs to be reigned in. Plus, nearly every left-handed pitcher uses a “balk move” to first on a regular basis, almost never stepping directly at the bag. And when was the last time you saw a right-hander get a balk call for throwing over to first while bending his right leg? But, in the grand scheme of things I’m not sure the Balk rule is the great scourge of our modern game (see ball-strike zone consistency, instant replay, ongoing PED issues, and salary discrepancies making the league a group of haves and have-nots). Boswell doesn’t understand the Balk but loves it. Q: At what point do Zimmerman’s errors accelerate the conversation to move him to 1B? A: We can start talk about moving Ryan Zimmerman the moment that Adam LaRoche‘s contract runs out. Anthony Rendon can play 2B in the interim and eventually move back over to his natural position. Before then? Somebody would have to get seriously hurt or traded in order to make any modifications to our infield. Boswell points something out I didn’t think about: Zimmerman is playing very shallow because his arm strength is shot … hence why he made those two errors in the saturday Jordan start. Q: Should we look to trade for Nolasco? A: I had to laugh; the questioner also asked if the Marlins would pick up his salary. Haha. Have you not see the M.O. for Jeffrey Loria by now? Hoard every nickle in every deal. That being said, I think we’d have the biggest chance of trading intra-division with Miami versus anyone else; they seem to be amenable to take back less in return for taking salary off their hands (see the Willingham/Olsen deal a while back). 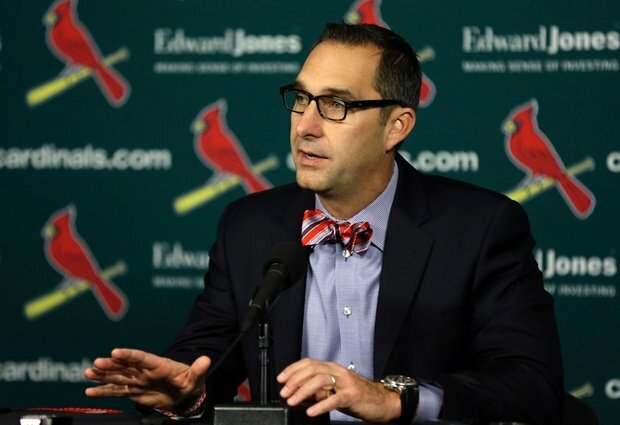 A better question; should we be forcing a trade for pitching at all? Even with the Dan Haren issues all year the team is 5th in the majors in ERA (10th in adjusted ERA+). Of course, the four teams above us are all either divisional rivals or challengers for the wild card. But the point is this: you need to fix what’s wrong, and the pitching overall isn’t what’s wrong. Its offense. Its bench production. Its hitting. Trade for something that helps fix the problem. Boswell just talks about how we have enough money and how we shouldn’t give up any decent prospects. Q: Is there a stat that shows how many a player’s errors relate directly to runs scored? A: Unearned runs? Except I’ve never seen someone directly tie the two together. Therefore probably not, because this type of research likely will have a Sabre-tinged analyst immediately say, “I’m not doing that because Errors are not the best way to measure fielders.” Then they’ll point at (in this case speaking of Zimmerman) his UZR/150 (an awful -20.2 for 2013 thus far), his Defensive Runs Saved (strikingly he’s actually cost the team 2 runs so far, projecting for a -4 rDRS for the year) or his Fielding Runs Above Average (FRAA) which measures out at 3.0 so far in 2013, slightly above average. My narrative on Zimmerman’s steep decline this year in range and defensive metrics goes as follows: nursing leg injuries and forced to play further up, Zimmerman’s not making the plays he normally would, which is being reflected in his UZR decline. Meanwhile FRAA correctly measures that he’s still a slightly above average fielder. Boswell doesn’t know. Q: With Harper coming back, I’m assuming that Rendon slides down to seventh. Is that the best place for him? Also, is he too good of a hitter to bat seventh? With Ramos coming back soon, does this make the Nats a much more dangerous offensive team? A: I’m not so sure I’d move Rendon down; he’s the absolute prototypical #2 hitter. He hits to all fields, he’s especially good at hitting to right, he’s got a .360 OBP, and is a great tablesetter for the 3-4-5 guys. No, I think you move everyone else down a spot. Of course, that being said, if you had a manager with any cajones, he’d move Werth to the #7 spot since everyone else in this equation is a better hitter right now. 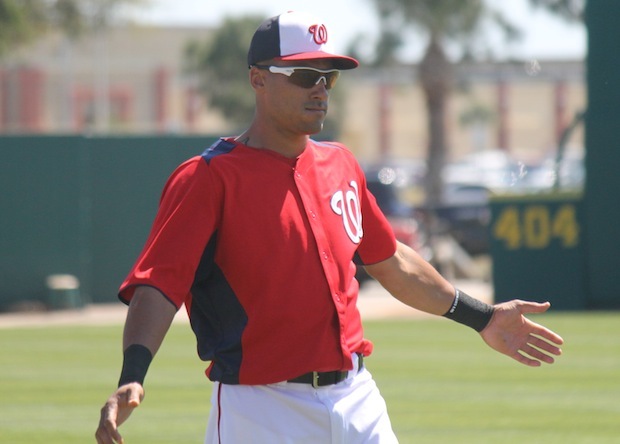 But it won’t happen, so either Ian Desmond or Rendon likely moves to #7. With Wilson Ramos back as I’ve noted in this space, yes this should finally let the Nats put out their best, strongest lineup. Boswell says Werth bats #2, pointout his OBP is .330. I’ll now point out that that OBP is 10% less than Rendon’s right now. But I can’t argue with Boswell’s point that Rendon could use the pressure taken off of him … until you remember that Harper didn’t seem to have any issues batting #2 all year last year. Update: Boswell called it right: Werth is batting #2 upon Harper’s return. Q: Why would Davey claim the Lerners want him out? A: That’s a reasonable conclusion from reading Mike Wise‘s article over the weekend. He seems to intimate that the ownership group is frustrated with the team’s performance this year and puts some of it at Johson’s feet. At least that’s the way Johnson interprets it. Boswell has an interesting point; he says this is a young team and the owners want a manager who can be here for 5-10 years … Johnson is 70 and they don’t see him as the solution. Q: Should Yasiel Puig be an all-star? A: If it were me, absolutely yes I’d make Yasiel Puig an all-star, give him an at-bat later in the game. He’s been electric, he’s been the best hitter in the league for half this season. He’s still hitting .436 through 100 at bats!. Having him at the game just makes it more of a fan draw. Boswell thinks he’ll be a late injury replacement. I hope so. Q: Which team has more wins at the end of 162, O’s or Nats? A: Easy; the Orioles. They’ve already got a 10 game head start. I don’t think the Nats are going to be 10 games better than Baltimore in the 2nd half. Boswell punts. Q: Did Desi violate the unwritten code yesterday by slamming a home run into the restaurant when the Mets had a position player on the mound? A: No way. Of all the unwritten rules out there, the one that is unassailable is that a batter gets a legitimate chance to get a good swing in at the plate no matter what the score. There’s limits (you can’t swing out of your shoes on a 3-0 pitch when winning by 10 runs) but I don’t see how Desmond’s bomb counts. Boswell says Desmond’s HBP earlier negates all rules. Not sure I agree with that reasoning unless the HBP was in any way possible deliberate. Later on another questioner notes that he thought the Desmond HBP was definitely deliberate; I turned the game off when the Nats knocked out Wheeler, figuring they had it sewn up, and didn’t see the fracas. Q: Why haven’t media such as yourself chastised the Nats for the foolish contracts given to Werth (injury prone, strikeout prone, shaky defensively), Soriano (too much to pay a closer who is not automatic), and Haren? In Philadelphia, all three contracts would have been regarded as somewhere between bad and stupid. The Werth deal was an over-pay but also re-established Washington as a player in the FA market, reestablishing credibility that had been destroyed by years of Loria and MLB ownership incompetence. Remember, the same off-season Carl Crawford signed for MORE money and has produced a total of 1.8 war in the last three seasons combined, yet we don’t hear as much about how “stupid” the Boston organization was for that signing. Why does Boston get a pass but Washington doesn’t? Rafael Soriano was a luxury item, but I’m not sure its fair to say he’s “not automatic.” He’s blown 3 saves in 24 chances. Jim Johnson leads the league in saves and he’s blown 5. Craig Kimbrel has a 1.48 ERA and he’s blown three himself. I have no problems with Soriano and his contract (other than my general stance against paying top dollars for closers in general … but it wasn’t my money). Haren looked like a good signing at the time, was a good risk, and frankly there’s no such thing as a bad one year contract. It wasn’t like we were the only people bidding on him; he was in demand. Giving power hitters on the wrong side of 30 5 guaranteed years at $25M each? Now that’s a “stupid” contract. Boswell chastises the Philly fan for his media’s overreaction to anything, defending the moves as I have. I like Ladson‘s Inbox. He takes questions that the “everyman” Nats fan seems to be asking. They usually hit upon the big issues facing the club. On the downside, they usually address issues we’ve already covered more than once in posts and comments. For those repeat questions we’ll try to use links elsewhere and short answers. Here’s the 5/23/13 edition. Lets see what we got this week. 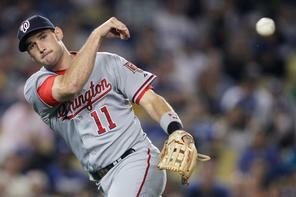 Q: Manager Davey Johnson is not worried about Ryan Zimmerman’s throwing errors. Do you think it’s an area of concern? Q: Danny Espinosa had a lot of strikeouts last year and is below the Mendoza Line so far this year. Do you think Steve Lombardozzi could take over the starting spot? Q: Do you think Tyler Moore could benefit from getting regular playing time with Triple-A Syracuse? A: A good question. I am in the “relatively surprised” camp to see how badly Tyler Moore is hitting this year. How do you go from a 125 OPS+ to a 5 (as in five) OPS+ in a year’s time?? He’s not helping the team, he’s wasting a bench spot at this point, and yes he needs to go to AAA to sort things out. He’s 8 for 66 with 27 strikeouts; he’s not an option off the bench at this point. Call up Chris Marrero or Micah Owings if you are looking for some LF pop. Uber positive Ladson also thinks Moore is going to turn it around. I guess he thinks that EVERY Nats player who is hitting poorly right now is magically going to turn things around. We should just continue hitting .220 as a team waiting for everyone to get out of their slumps. You have AAA teams for exactly this reason; to allow younger players who are struggling to work out issues playing full time, instead of getting 1-2 ABs/week like Moore is getting right now. Q: Do you think it’s appropriate for the Nationals to play Michael Morse’s walk-up song, “Take On Me,” as a seventh-inning stretch song? Is that a bad omen? A: I think its a very nice tribute to a player in Morse who was a fan favorite and who a lot of us didn’t want to see go. Nothing inappropriate there. In fact, I hope the Mariners come back to Washington to get the fans here a chance to pay him the respect he is owed for his contributions here. Ladson answers the question without even mentioning Morse?? There’s a reason that song is played right now and it isn’t because its a cool 80s song. Lots of questions about Gonzalez and Garcia this week. Photo unknown credit. Hey, what great timing for another Bill Ladson inbox (posted 2/5/13). Baseball news is light, pitchers and catchers report in a week or so, and I’m not quite ready to continue my Stats series. 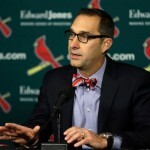 Q: Do you think general manager Mike Rizzo will add starting pitching depth before Opening Day? Does the lingering possibility of a Gio Gonzalez suspension change whom the Nationals would consider acquiring? This is a tough question to answer; Gio Gonzalez has denied the rumors, but the newspaper in question (the Miami New Times) clearly only named Gonzalez because they felt like the evidence they had in hand was irrefutable. Many other players have not been named. So as a GM; how do you go about preparing for 2013 at this point? If Mike Rizzo knows that Gonzalez is getting suspended, you have to think he’s on the horn to his buddy Scott Boras about possibly buying Kyle Lohse, which is clearly the best remaining FA starter. But Lohse isn’t coming cheap, and likely isn’t coming on a one year deal, and would cost another draft pick (I believe). The Nats are already topping $120M in payroll; would they go to $135M? If we think Gio at least gets a pass and the suspension is put off, maybe Rizzo’s recent activities of signing random starters to minor league contracts is going to be sufficient. Ladson mentions Javier Vazquez and the ever-present rumors of Christian Garcia going to the rotation as possible Gonzalez replacements if he gets suspended quickly. Probably fair; Vazquez may be a great, cheap alternative. Q: Everyone is saying that it’s going to be a two-team race in the National League East between the Nationals and Braves. Do you think the Phillies have a shot to contend with both these teams, or is their time done? The two Youngs were both negative WAR players last year, Lannan is a 5th starter, Revere was a backup centerfielder who the Phillies traded some decent assets for, and Betancourt is who he is (though admittedly he’s on a minor league deal and seems at best set to be a utility infielder behind starters Jimmy Rollins and Chase Utley). I see the Phillies being a very bad defensive team with the two Youngs in the starting lineup, I see some serious questions in the back side of the rotation, and I see continued regression and louder complaints about Ryan Howard‘s contract. Fun times a-coming in Philadelphia. Ladson actually says that the Phillies will “be improved with Michael Young.” Bill! Have you seen Young’s WAR figures from 2012?? He was a NEGATIVE WAR player at both major War sites. That means he makes your team worse! Now, he was completely servicable in 2011 … so if you want to make the argument to me that 2012 was an aberration for an aging hitter playing in a hitter’s park, well I guess that’s a stance you can take. But pretty much every other pundit in the blogosphere has loudly criticized the Philadelphia moves this off-season. Q: What is the status of Lucas Giolito? When do you see him pitching in D.C.? A: Tommy John surgery in Late August (I can’t remember the exact date; it was 8/24/12 when I posted this highly-critical article about Lucas Giolito and the situation), so figuring a typical 12-month rehab session before he’s actively throwing again in pro-games basically puts him at the end of the 2013 minor league season. Which means he’ll be 20 before he really is ready to start his pro career in the spring of 2014. Figure 4-5 years average case for typical high schoolers to work their way up the systems (perhaps fewer years given his talents and pedigree, as we’ve seen with someone like Dylan Bundy in 2012, who made his way from low-A to AA in his first pro season out of HS and got a late Sept callup to the majors) and we’re probably looking at 2016-2017 before seeing him in the majors. If, of course, he recovers from surgery, hasn’t destroyed his mechanics, is effective, matures, doesn’t get re-injured, or any of the million other pitfalls that typically befall high school arms drafted in the upper rounds. Ladson thinks he’s pitching pro games “after the all-star break” and is in the majors in 3 years. Wow. That is optimistic. Q: How do you think Henry Rodriguez will do? And what do you think his role in the bullpen will be? A: I am, and always have been, pessimistic on Henry Rodriguez. I hated the Willingham trade that got him here. He’s forced the team to invent injuries to stash him on the DL coming out of spring training b/c he has no options. He led the league in wild pitches in 2011 in just 65 innings. He had a 69 ERA+ in 2012. At some point when does the team say, “OK, its nice that he throws 100mph. But enough is enough; we need a reliable pitcher who can deliver when called upon.” Perhaps Spring Training 2013 is that time. What do I think his role will be? I’m sure he’ll look great in Spring Training again, will break camp with the team, and very well may look halfway decent for a while. But just like every other season, he’s going to have those 3-walk outings where he pitches a 1/3 of an inning and gives up 4 runs, and then the manager will be afraid to use him unless the team has a 5-run lead. And eventually we’ll call up Garcia to replace him and move on. That’s my prediction for Rodriguez. Ladson says the team should “attempt to trade him if he is not impressive this spring.” Wow, that’s sage advice; if only every team could trade its under-performing players and actually get value back whenever it wanted. Q: Can you predict Washington’s Opening Day lineup if all available players are healthy? A: Easy. I’ll even predict the batting order. Span-Werth-Harper-Zimmerman-LaRoche-Desmond-Espinosa-Suzuki-Strasburg. Ladson predicts the same names but in a lineup order that makes no sense from a lefty-righty balance perspective. Q: After announcing his retirement, do you think Brian Schneider is a possible candidate to replace Johnson as manager of the Nationals? A: Wow, yet another speculative question about the future Nationals Manager. He took a question about the manager on 1/28/13, and on 1/22/13. And on 1/14/13. I guess people like speculating on the Nats next manager. Not repeating what i’ve said on the topic before, is Brian Schneider a candidate? Why would he possibly be a candidate to manage the major league team of a system he left 5 years ago? Why would the Nats pick a manager who’s never managed a day in his life? Ladson breathes some common sense on this one. Q: I think Garcia has to be on the Opening Day roster, so is he in the bullpen or someplace else? Can the 25-man roster accommodate him and all the other pitchers? A: “Someplace else?” Like where? In the outfield? I like Garcia too, but the team has a numbers problem in the bullpen. Storen, Clippard, Mattheus, and Stammen have all more than earned their spots. Soriano is being paid a ton of money. Duke is guaranteed a spot (he’s the only lefty and he’s got enough service time to refuse a demotion). Oh, and Rodriguez has no options. So there’s your 7-man bullpen. Notice there’s only one left-hander out there; if you believe that you need left-handers to get left-handed batters out, then the bullpen needs to sacrifice one of the righties in order to have a second lefty (Bill Bray?) in there. The only way I see Garcia making this bullpen is if the team runs out of patience with Rodriguez and DFAs/DLs him, or if the team trades away one of their closer-quality surplus guys, or if maybe someone like Mattheus/Stammen (both of whom do have options) struggles or gets hurt. Otherwise look for Garcia to get stretched out and get looks as a starter in AAA. Ladson says he’s confident Garcia is on the 25-man roster …. ok explain it to me then based on the above paragraph. Who is he replacing?